"A Complete Compendium of Rules Conducive to Success, Approved of and Formulated by the Successful Men of the World who became acquainted with these Rules only after they had Attained Success". 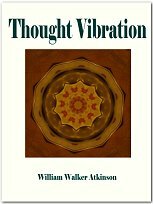 This book explains the law of attraction in the thought world and goes on to tell us that the power of thought can create or destroy depending on how we apply it. It shows how to protect oneself with positive thoughts. The book teaches the thought processes and how they can be harnessed to produce wonders in our lives. Much emphasis is laid on the concentration of thought forms and mental discipline. THE Universe is governed by Law - one great Law. Its manifestations are multiform, but viewed from the Ultimate there is but one Law. We are familiar with some of its manifestations, but are almost totally ignorant of certain others. Still we are learning a little more every day - the veil is being gradually lifted. We speak learnedly of the Law of Gravitation, but ignore that equally wonderful manifestation, THE LAW OF ATTRACTION IN THE THOUGHT WORLD. We are familiar with that wonderful manifestation of Law which draws and holds together the atoms of which matter is composed - we recognize the power of the law that attracts bodies to the earth, that holds the circling worlds in their places, but we close our eyes to the mighty law that draws to us the things we desire or fear, that makes or mars our lives. When we come to see that Thought is a force - a manifestation of energy - having a magnet-like power of attraction, we will begin to understand the why and wherefore of many things that have heretofore seemed dark to us. There is no study that will so well repay the student for his time and trouble as the study of the workings of this mighty law of the world of Thought - the Law of Attraction. When we think we send out vibrations of a fine ethereal substance, which are as real as the vibrations manifesting light, heat, electricity, magnetism. That these vibrations are not evident to our five senses is no proof that they do not exist. These thought vibrations, likewise, cannot be seen, tasted, smelled, heard nor felt in the ordinary way; although it is true there are on record cases of persons peculiarly sensitive to psychic impressions who have perceived powerful thought-waves, and very many of us can testify that we have distinctly felt the thought vibrations of others, both whilst in the presence of the sender and at a distance. "There is much food for speculation in the thought that there exist sound-waves that no human ear can hear, and color-waves of light that no eye can see. The long, dark, soundless space between 40,000 and 400,000,000,000,000 vibrations per second, and the infinity of range beyond 700,000,000,000,000 vibrations per second, where light ceases, in the universe of motion, makes it possible to indulge in speculation."